This enchanting 925 sterling silver twisted mesh bracelet is cleverly designed to capture and play with the light. 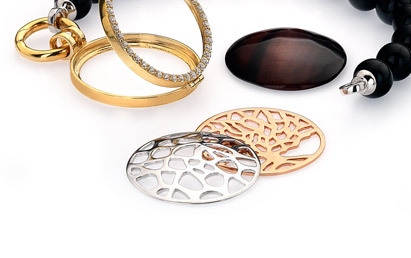 An exquisite piece of jewellery suitable for everyday wear and complements any outfit. Available in Silver, Rose Gold and Gold plated. To order a product you will need to follow the ordering procedures set out on the relevant order page. You undertake that all details you provide to us for the purpose of purchasing goods or services which may be offered by us on our website will be correct, that the credit or debit card, or any electronic cash, which you use is your own and that there are sufficient funds or credit facilities to cover the cost of any goods or services. We reserve the right to obtain validation of your credit or debit card details before providing you with any goods or services. Details of the prices for the Products and the procedures for payment and delivery are displayed on or through our website. The price of any Product is the price in force at the date and time of your order. The price of any Product may change before you place an order. We try to ensure that the prices displayed on our website are accurate but the price on your order will need to be validated by the seller as part of the acceptance procedure. We will inform you if a Product's correct price is higher than that stated in your order and you may cancel the order and decide whether or not to order the product at the correct price. You are solely responsible in all respects for all use of and for protecting the confidentiality of any username and password that may be given to you or selected by you for use on our website. You may not share these with or transfer them to any third parties. You must notify Virtue London immediately of any unauthorised use of them or any other breach of security regarding our website that comes to your attention. © 2019 Virtue London . All Rights Reserved.